FREE $10 Target Gift Card With Purchase! You are here: Home / Great Deals / FREE $10 Target Gift Card With Purchase! Target has a great new offer! 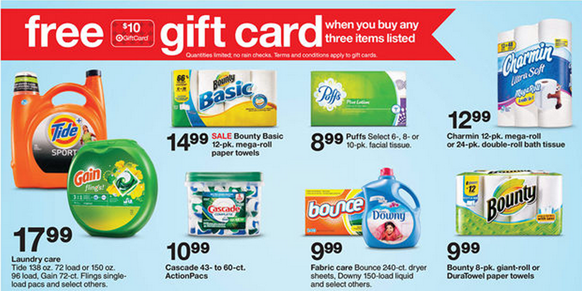 You can get a FREE $10 Target Gift Card When You Buy 3 participating P&G products! Make sure to check search for coupons in our Coupon Database to add to this offer to get the best deals possible!